Do You Carry a Test Kit for Tannins? Typically light yellow (tea-colored) to dark brown when found in water samples, tannins wind up in water that has passed through decaying organic matter in the ground and, as AAA stated, they can impart a musty, earth-like odor to water and tend to leave drinking water with a nasty, tart aftertaste. Do tannins cause health problems? Generally speaking, most water experts agree that tannins in drinking water pose no real danger to humans… and they also agree that tannins in drinking water tend to make it very unpleasant and, in extreme cases, undrinkable. Test kit for tannins in drinking water? As far as we know only one option exists for testing one’s water for the presence of tannins: Laboratory testing by a certified water testing facility. No at-home drinking or well water test kits exist (to our knowledge) that can test for the presence of tannins in a water sample. With that said, National Testing Laboratories offers a mail-in tannins test kit option for around $50 (plus overnight shipping) that provides test results in about a week or so. 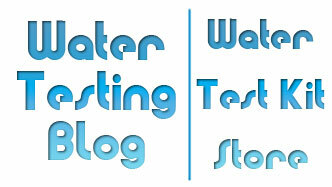 We now carry that kit in Water Test Kit Store. Where are tannins most likely to show up? Given the complex nature of our planet’s hidden, underground waterways one would make a fool of himself or herself if they tried to give a definitive answer to that question. We can, however, tell you that (statistically) shallow wells and surface water in coastal regions and areas with a high concentration of swamps and/or marsh areas have a tendency to turn up positive for tannins. Removing tannins from drinking water? Although we wish a simple method existed, usually tannin removal requires a system like the Whole House Tannin Filter made by Crystal Quest. 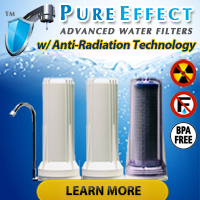 Why the need for such a costly filtration system? From what we have read, certain types organic matter dissolved in water do not take kindly to the notion of removal… but other than that we really do not know. For answers to questions like that we suggest contacting a water treatment company in your area if you have tannins in your water.